These General Conditions govern the use and operation of the molahostel.com website (and simply accessing it). According to the provisions of Law 34/2002, of 11 July, regarding Information Society Services and Electronic Commerce, the website molahostel.com is owned by ATOCHA SUITES, S.L. (hereinafter, ATOCHA SUITES), recorded in the Mercantile Registry of Madrid in Volume 31875, Sheet 179, Sec. 8, Page M-573627 with an address for the purposes of notifications at C / Atocha 16 – 5ºK, 28012 Madrid, NIF B86919149 and email info@atochasuites.com. Use of this website confers user status, which implies adherence to these General Conditions according to the version published at the time of access. Therefore, ATOCHA SUITES advises the User to read these carefully each time the Website is accessed. Given this, it will be the responsibility of every visitor and/or user to carefully read the current General Conditions of use every time the website is accessed. It you do not agree with these conditions, you should refrain from using this website. ATOCHA SUITES may alter at any time and without prior notice to the user, the design, presentation and/or layout of the Website, as well as some or all of the Content, or modify the general conditions and/or specific conditions required to use these. 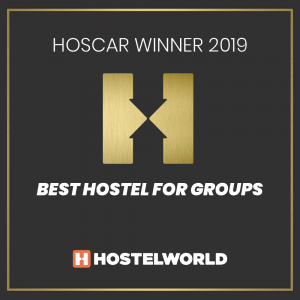 The User is aware, and expressly and voluntarily accepts, that the use of the site molahostel.com is made under the sole and exclusive responsibility of the User. When using the molahostel.com site, the User agrees not to carry out any action that could damage the image, interests and rights of ATOCHA SUITES or third parties, or that could damage, disable or overload the site, or that could prevent in any way, the normal use of the site. The Contents of the site molahostel.com are made available to the user and they contain information from both our own and third parties sources. The inclusion of Content on the molahostel.com site does not constitute the provision of a service in any way. The User acknowledges that the application of law to specific cases is not automatic, and this can vary depending on very different circumstances. Therefore, ATOCHA SUITES discourages the User from making decisions based on Content information without obtaining suitable professional advice. ATOCHA SUITES is not responsible for errors or omissions that may be suffered due to the contents of this website and will it not assume any responsibility nor commitment for verifying or monitoring the content and information of this website. The User acknowledges and accepts through these General Conditions that all industrial and intellectual property rights regarding the contents and/or any other elements included in this website (included but not limited to, trademarks, logos, trade names, texts, images, graphics, designs, sounds, databases, software, flowcharts, presentations, look-and-feel, audio and video) are the exclusive property of ATOCHA SUITES and/or third parties, who have the exclusive right to use them in the course of trade. Under no circumstances does accessing the website imply any kind of waiver, license or total or partial transfer of said rights, unless expressly stated otherwise. These General Conditions of Use of the Website do not grant to the Users any other rights to use, alter, exploit, reproduce, distribute or publicly communicate the Website and/or its Contents other than those expressly set forth. Any other use or exploitation of rights will require prior express authorization specifically granted for this purpose by ATOCHA SUITES, S.L. or the third party holder of the rights involved. 1.- Full name, postal address and e-mail address of those concerned or, if applicable, the person authorized to act on their behalf, indicating their position and representative capacity (hereinafter, the claimant). 2.-Statement by the claimant who affirms being the owner of the rights allegedly infringed, including their hand-written or digital signature. 3.- Accurate description of the contents protected by the intellectual property rights that have allegedly been infringed, as well as their exact location within the website. 4.- Specific statement by the claimant on the use of content that has been made without the consent of the owner of the rights allegedly infringed. 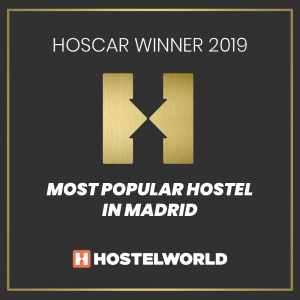 As stated accordingly in the previous section, the domain name molahostel.com and all those that serve to access this site directly are the exclusive property of ATOCHA SUITES. The improper use of these in the course of trade would be a violation of the rights granted on registration and will be legally pursued. The contents, texts, photographs, designs, logos, images, sounds, videos, animations, recordings, computer programs, source codes and, in general, any intellectual creativity on this site, as well as the site itself, as multimedia artwork are protected by copyright and the intellectual property legislation. ATOCHA SUITES authorizes users to view, obtain a temporary copy, download and store the contents and/or elements included in the Website for their own, private and not-for-profit use, provided that the origin and/or author is always stated and, where appropriate, the copyright symbol and/or industrial property rights of their owners appear. The use of these elements, their reproduction, communication and/or distribution for commercial or lucrative purposes, as well as their modification, or decompilation is strictly prohibited. For any use other than that specifically permitted, the prior written consent of the holder of the rights in question should be obtained. The User of this Website agrees to respect the rights set out and to avoid any action that may prejudice these rights. ATOCHA SUITES reserves the right to exercise any legal action in defense of their legitimate intellectual and industrial property rights. 5.1 Warranties and responsibilities disclaimer regarding the use of the site. 2. The interruption in the functioning of the Website or computer malfunction, telephone breakdowns, disconnections, delays or blockages due to deficient or overloaded telephone lines, in the internet network or other electronic systems that arise during the course of its operation. 4. Other damage that may be caused by third parties due to unauthorized intrusion beyond the control of ATOCHA SUITES. The absence of viruses or other elements on the website, introduced by third parties beyond the control of ATOCHA SUITES, and which may cause disturbance to the Users’ physical or logical systems, or to electronic documents and files stored in their systems, is not guaranteed. ATOCHA SUITES takes various measures to protect the Web site and the content against third party cyber attacks. Nevertheless, ATOCHA SUITES does not guarantee that unauthorized third parties are unable to make the type of use of the Website that the User makes nor under what conditions, characteristics and circumstances this use is made. Consequently, it will not be in any way responsible for any damage that may arise from such unauthorized access. ATOCHA SUITES will not take responsibility under any circumstances for the usage that the Users and/or third parties may make of the Web site or contents, nor of the damages that may arise. ATOCHA SUITES relieves itself of any liability for damages of any nature that may be due to the use of the services and contents, or that may be due to the lack of veracity, validity, thoroughness and/or authenticity of the Information that users provide about themselves and in particular, but not exclusively, for damages of any nature that may be due to the identity theft of a third party by a user in whatever type of communication made to through the portal. 1. Damages of any nature that may be due to a lack of legality, reliability, usefulness, truthfulness, accuracy, thoroughness and timeliness of the contents. 2. Inappropriateness for any specific purpose or the disappointment regarding Content expectation. A mere visit to the website molahostel.com does not automatically mean that any data of a personal nature that identifies a User is registered. However, there is certain information of a non-personal and non-identifiable nature about a specific User that can be collected and recorded on ATOCHA SUITES Internet servers (for example, the User’s Internet browser type and the User’s operating system) with the object of improving the user’s navigation experience and the management of the site molahostel.com. ATOCHA SUITES may request from the User, personal data for using certain content or services, while complying at all times with Law 15/1999 on Personal Data Protection and development regulations. The lifespan of this site is, in principle, unspecified, however ATOCHA SUITES reserves the right to modify, suspend or terminate the provision of its services, at any time and without need for prior notice, as well as these General Conditions. Accessing this website and using it implies acceptance of these General Conditions. Copyright 2016. ATOCHA SUITES, S.L. All rights reserved and registered. Total or partial reproduction is prohibited.